It is widely accepted that the adoption of standards is a foundational element essential to effective digital health. Today's health care demands extensive sharing of information amongst clinicians, across organizations and geographies, and also with the patient, all of which would be impossible without the use of standards. With the increasing globalization of digital health comes the equally increasing need to use internationally developed standards. International digital health standards are produced and supported by a relatively small number of international Standards Development Organizations (SDO's). In the past, these SDO's operated independently resulting in standards that often overlapped and competed for acceptance. In 2007 the Joint Initiative Council for Global Health Informatics Standardization (known as the JIC) was formed to provide a forum for dialogue and collaboration amongst an initial group of 3 of SDO's. Having grown to include 9 SDOs representing the most prominent in the industry, current membership includes ISO/TC215, HL7 International, CEN/TC251, CDISC, IHE International, DICOM, SNOMED International, GS1, and the PCH Alliance. As stated in its Charter, the JIC is a council of equals, with each member SDO taking a turn to chair the JIC for a 2-year term. This Chair rotation is key to the JIC's stability and sustainability over time. While the JIC undertakes a myriad of functions, the most important is as a forum for regular collaboration amongst the senior leadership of the member SDO's. 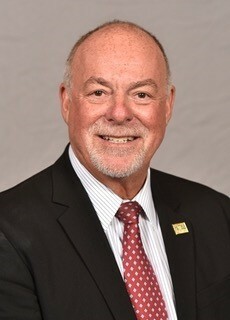 "This exchange of strategies, priorities and initiatives provides assurance to the digital health industry worldwide that SDO's are committed to ongoing dialogue, and wherever possible, joint initiatives that reduce overlapping efforts and fill needed gaps", said Michael Nusbaum (photo), who represents IHE and is the current JIC Chair. "Users of our standards, including governments, health providers and vendors, welcome this collaboration as a signal of cooperation and stability at the international level". While each of the member SDO's have their particular strengths and capabilities, the JIC serves as an important vehicle to foster both the spirit of collaboration as well as cross-SDO development activities, leading to a stronger and more robust international standards community that supports digital health.